Who is Phil Ivey? 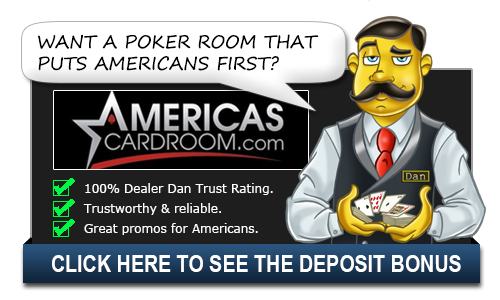 | Phil Ivey Bio - Casino Answers! Phil Ivey has earned the nickname of “the Tiger Woods of Poker” (which he reportedly dislikes) for his skill, concentration and great success in the game. He was known as a high-stakes player before moving on to the live tournament circuit in 2000. It was then, at the age of 23, Phil won his first World Series of Poker title in the $2,500 Pot-Limit Omaha event. Ivey has won seven World Series of Poker bracelets and has a World Poker Tour title, making the final table there a record eight times. Currently he is listed as second in the world among all-time money winners in tournament poker. He has 36 WSOP events and accrued over $12.2 million in career tournament earnings. He has earned a number of poker accolades, including “Poker Player of the Year” by Bluff, All In and UK Gaming Awards in 2006. Ivey is regarded by numerous poker observers and contemporaries as the best all-around player in the world today. He’s one of the more popular players in the world with many fan sites dedicated to him, including the now defunct Phil Ivey Rules The World. Phil came to gambling at a young age and was a savant which is what led to his “Tiger Woods of Poker” nickname. He grew up in New Jersey and as a young man was into gambling right away. His grandfather even attempted to scare him off the game, using base dealing tactics to cheat the young man out of his money and scare him away from the game. It didn’t work and by 16 years of age, Phil was already playing in poker games for money. Once he turned 18, “No Home Jerome” was born as he used the identification of one of his co-workers named Jerome Graham and began playing at the casinos underage. He played a lot, basically living at the casino which is how he got the “no home” portion of the nickname. He wasn’t instantly successful and lost a lot in the early years, but by the time he turned 21 he was on his way to becoming the great we know today. Upon turning 21, he was no longer Jerome and he introduced himself as Phil to the casino stafff and continued on playing. By 2000, he would head to Las Vegas and the World Series of Poker to announce himself to the world. He had great success that first year. A fifth place finish in the $2,000 No-Limit Hold’Em event and a bracelet in the $2,500 Pot-Limit Omaha event. Since then, Phil has only built his legend. Multiple bracelet wins are nice, but what has really gotten Phil acclaim is his cash game play. He’s one of the richest poker players in the world and famously won $16.6 million in a showdown with Andy Beal. The Corporation had lost a lot of money to Beal, but when they called in Phil Ivey he got them all their money back and then some. In 2017, Ivey was inducted to the Poker Hall of Fame.